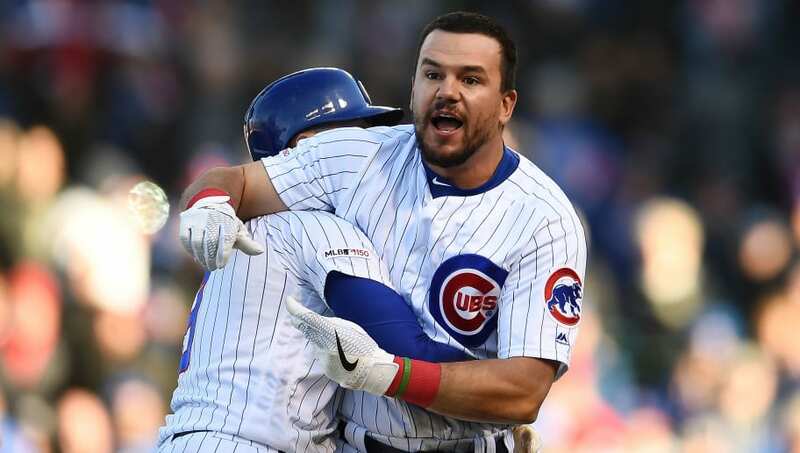 Schwarber lost his mind after being called out on a check swing to end the ​Chicago Cubs-Los Angeles Angels game on Saturday, and a couple of photos emerged proving that he did indeed swing and the third base umpire made the right call. In baseball, that's what we call a swing. ​He was so distraught with the call that he threw his helmet and bat and tried to rush the umpire as teammate Javier Baez held him back. ​​We get that it was close, but Schwarber's overreaction was absolutely off the rails. It's only April and at a glance it was a borderline call. How can you not expect this call to go either way given the late-game circumstances? He finished the day with zero hits and two strikeouts, so maybe this was just the straw that broke the camel's back.